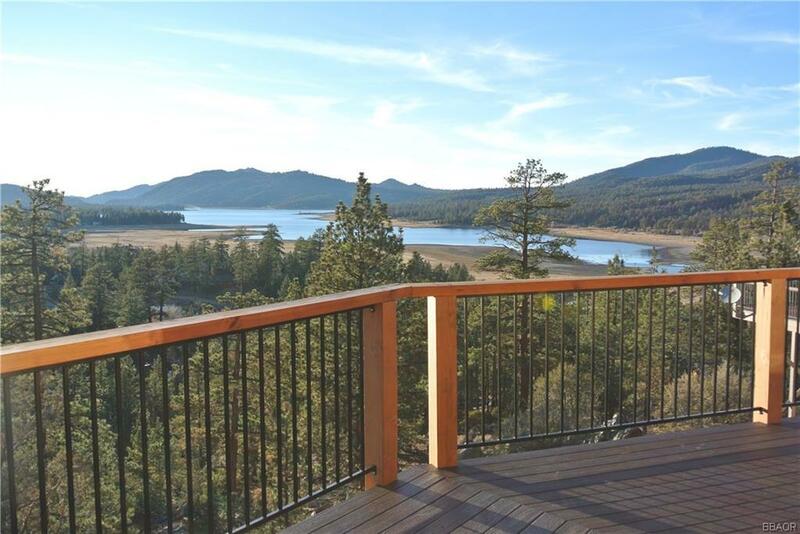 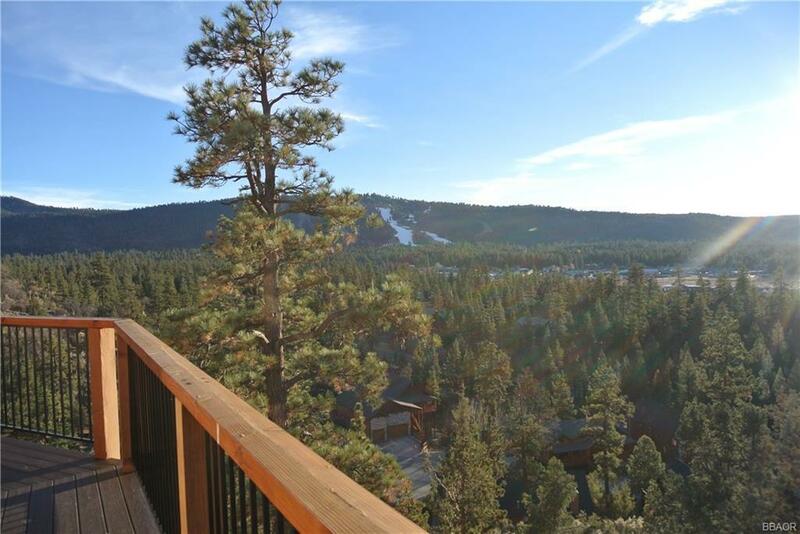 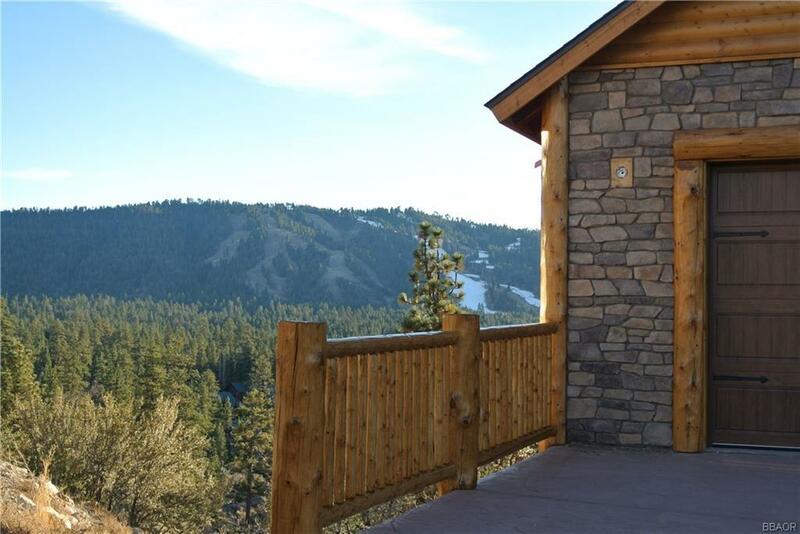 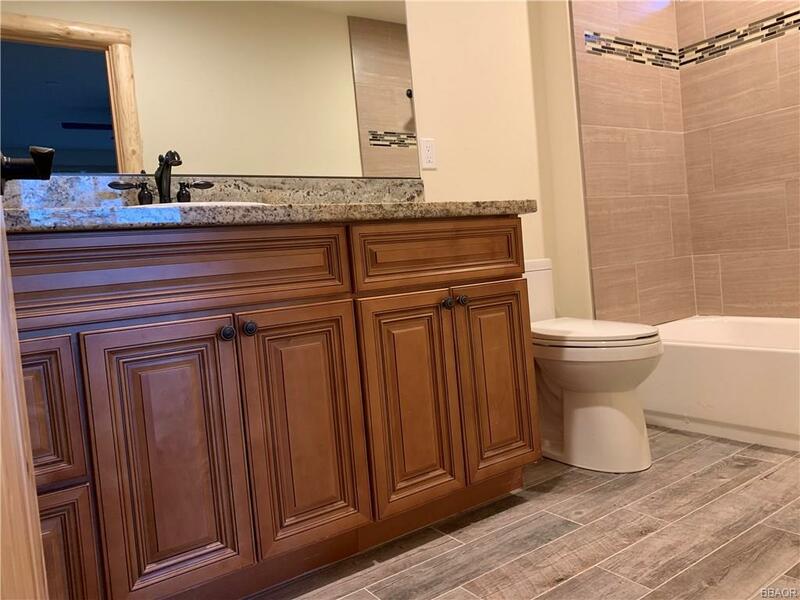 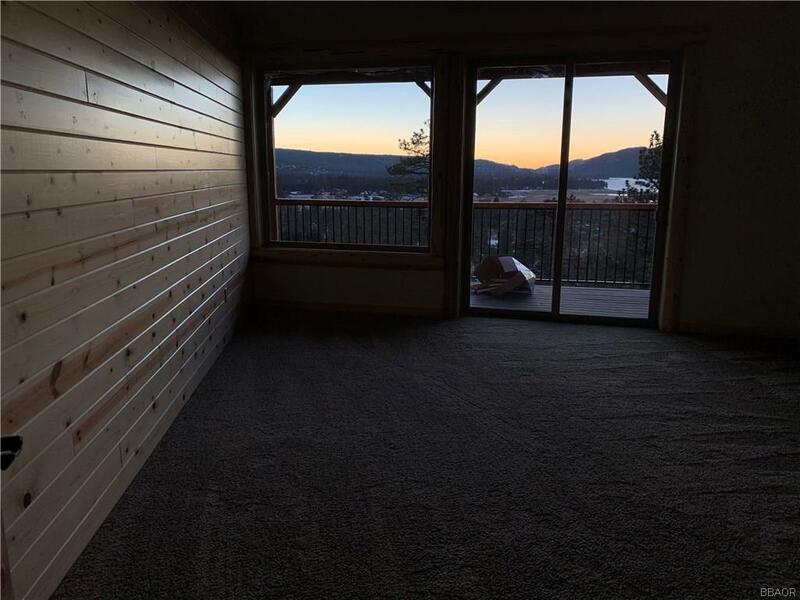 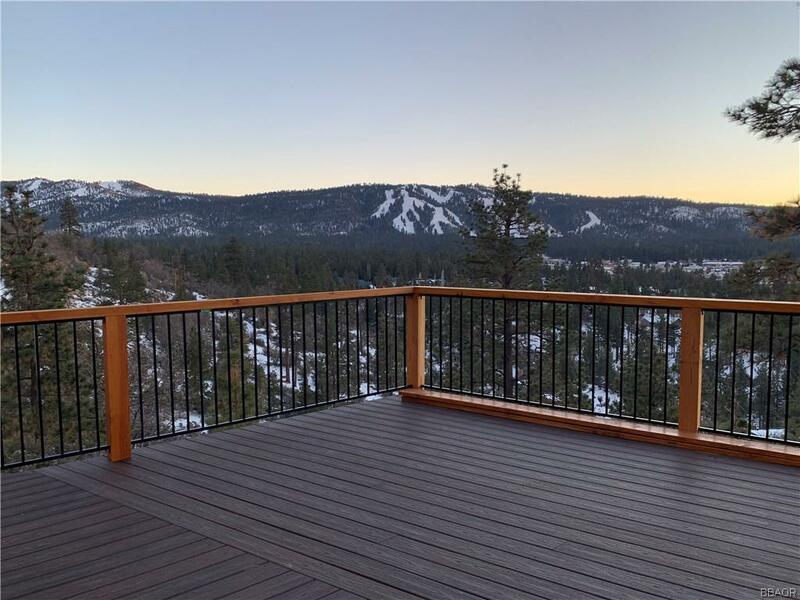 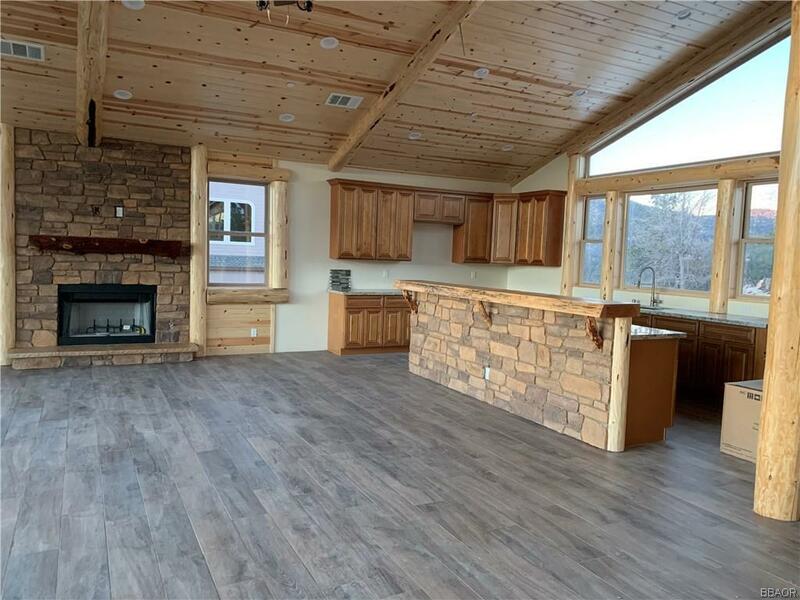 Gorgeous log style cabin located in the Castle Glen Estates featuring 180 degree views of Big Bear Lake and the Snow Summit/Bear Mountain Ski Slopes. 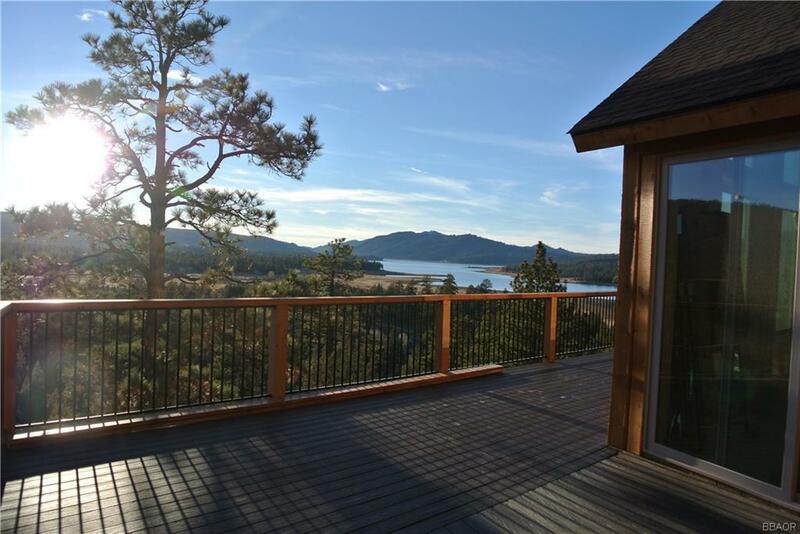 4 bedrooms including 2 master bedrooms each uniquely designed to capture the breathtaking views. 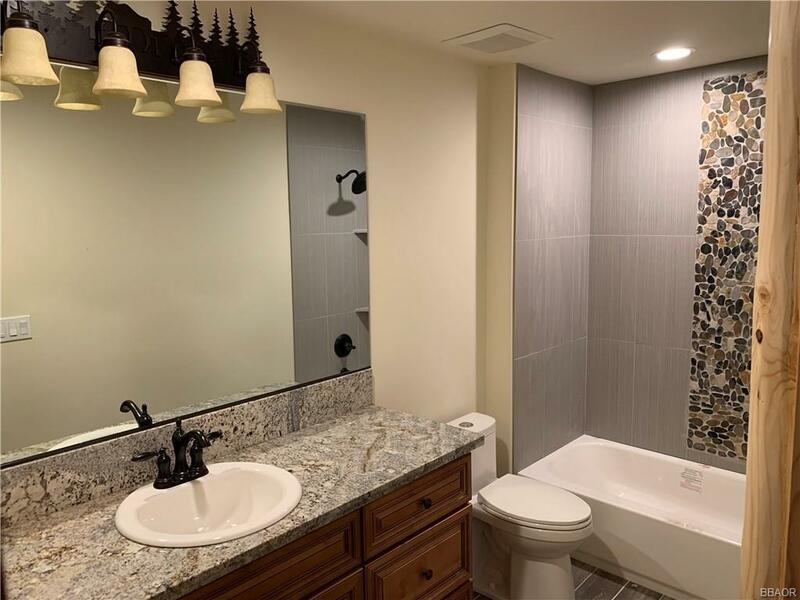 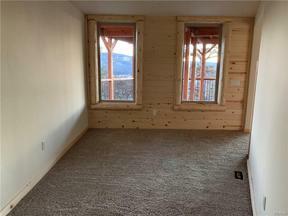 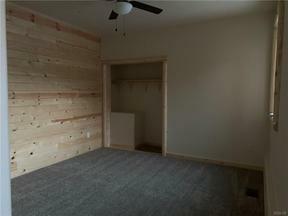 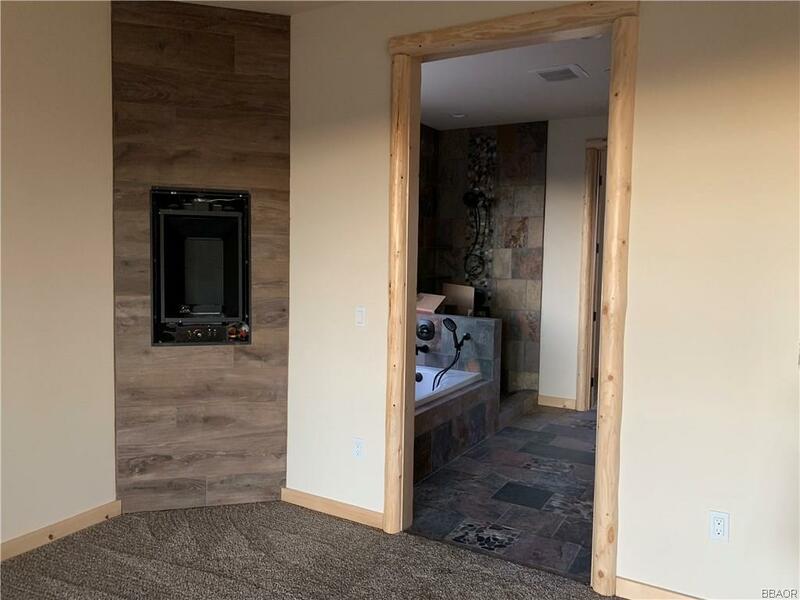 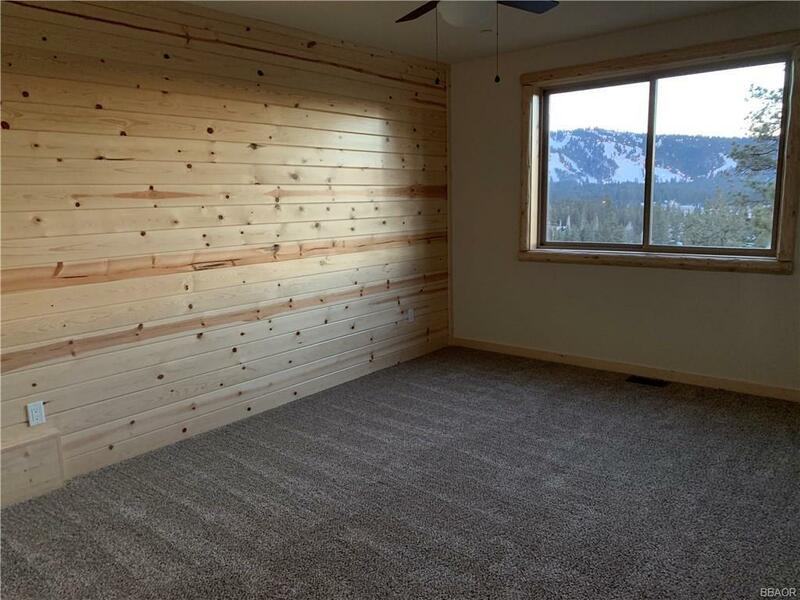 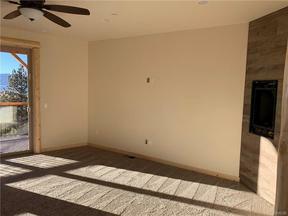 Main master bedroom is equipped with an extra-large master bath, walk in closet, jacuzzi tub, and fireplace. 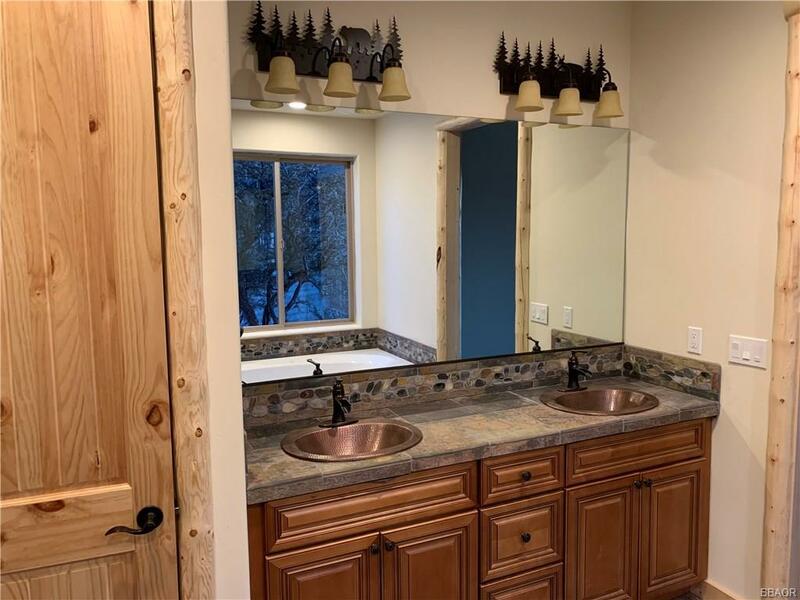 3 1/2 baths. 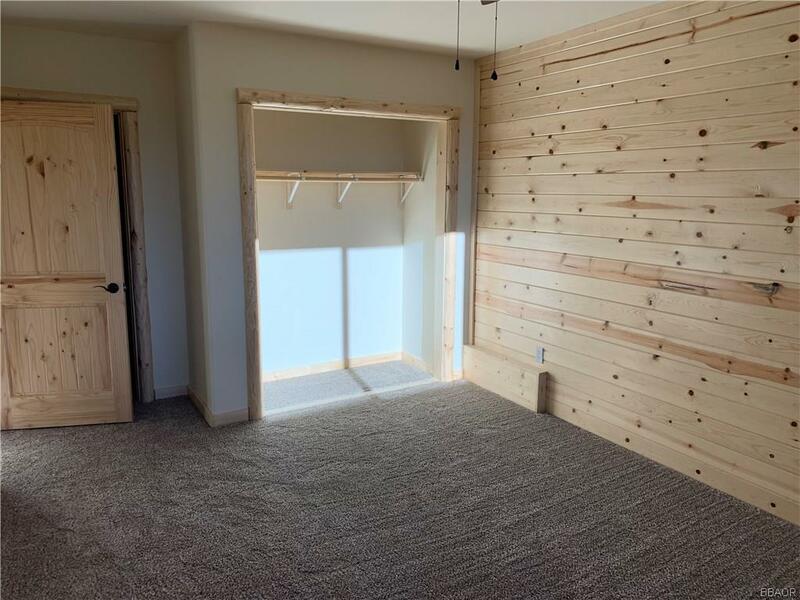 Bright and open floor plan with large living room and game room. 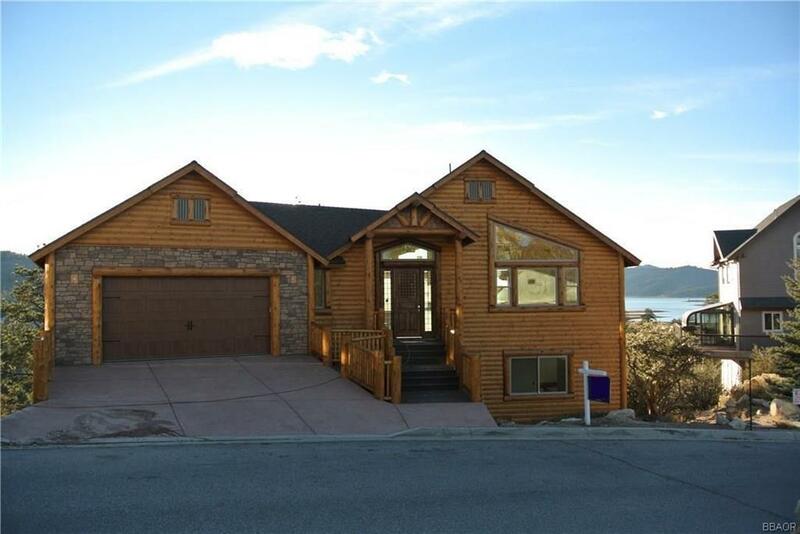 Massive windows throughout and sliding doors leading to large decks on each floor to enjoy the panoramic views of the lake and slopes. 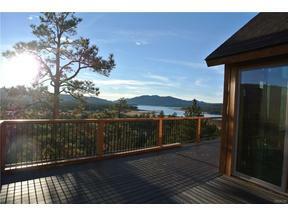 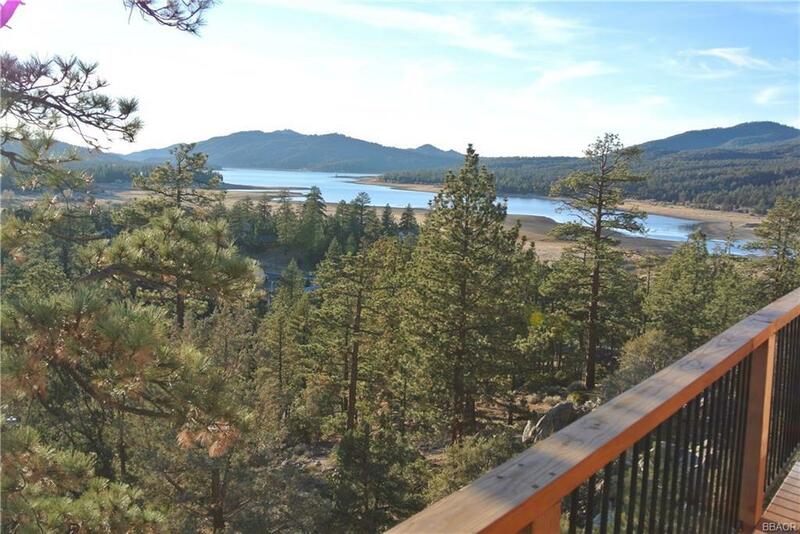 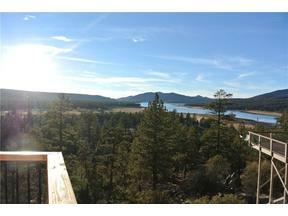 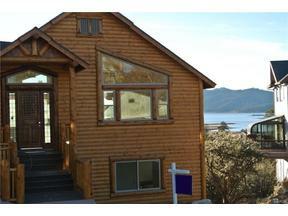 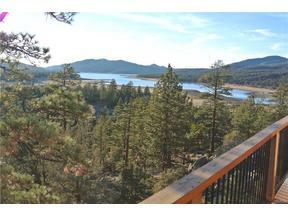 Property backs into sloped national forest creating a peaceful environment and adding to the views. 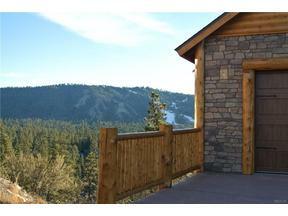 Great for family gatherings, entertaining, or enjoying the mountain air.